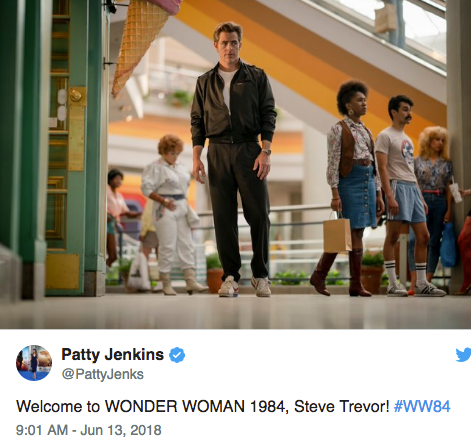 Two interesting tweets went out today and it appears that the "late" Steve Trevor (Chris Pine) somehow shows up in the 1980s for the upcoming Wonder Woman 1984 sequel, which is now filming. 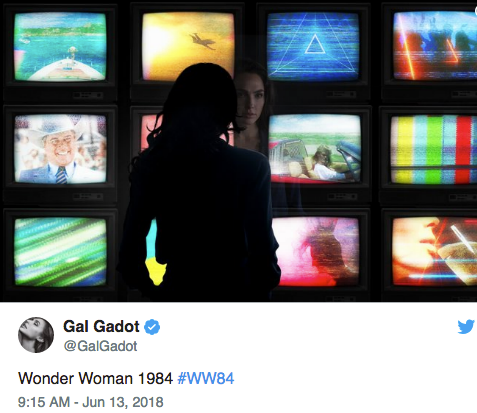 I'm not quite sure how they plan to bring him back, considering it appeared that he died during WW1, but I'm sure they have some crafty twist that'll justify bringing him (or a vision/version of him) into the 1980s. I guess we'll just have to wait until the movie opens November 1st, 2019.